Princess Beatrice, Princess Henry of Battenberg, was the fifth daugther and the youngest child of Queen Victoria and Prince Albert of Saxe-Coburg-Gotha. For her delivery in 1857, the royal accoucheur Dr John Snow administered chloroform only in small, sub-anaesthetic doses. The Queen never lost consciousness. Princess Beatrice married His Serene Highness Prince Henry of Battenberg (1858-1896) in 1885. 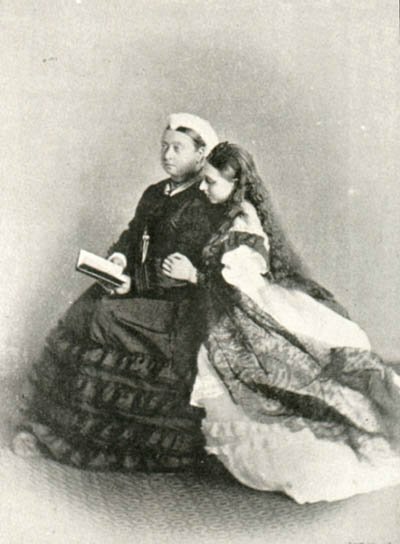 Their sons, Leopold and Maurice, were both haemophiliacs; and one of their two daughters, Ena, was a carrier of the gene.